First Edition Made exclusively for Avon Products, Inc. by Enoch Wedgewood (Tunstall) LTD.,England Avon Products, Inc. 1973 In original box, plate has never displayed. Box shows storage wear, but is not damaged. 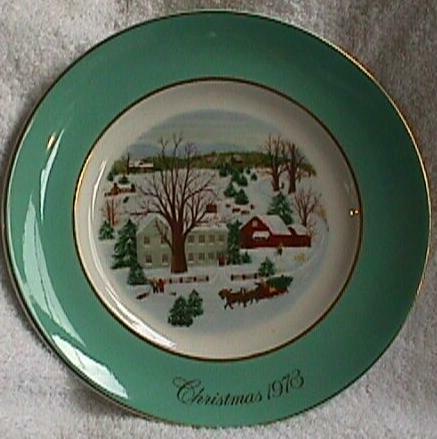 This absolutely perfect plate is Avon's First Edition Christmas Plate Series......called "Christmas On The Farm".....made exclusively for Avon Products, Inc. by Enoch Wedgewood (Tunstall) Ltd. England......it measures just shy of 9"......a wonderful collectors piece!! Buyer pay S/H......thanks for bidding!